If anyone had told Florence Chandler she would be sentenced to hang from an English gallows in Liverpool, she probably would never have left the comforts of her Mobile, Alabama home. But misadventures are never known beforehand, so an unwitting Florie (as she liked to be called) and her mother, Baroness Caroline von Roques, boarded the SS Baltic on March 12, 1880. Their final destination was Paris. By the time the Baltic docked in Liverpool, Florie had changed her destination. Impulsive and headstrong at age eighteen, she had fallen in love during the crossing. She decided to marry an Englishman. James Maybrick was 24 years old the day Florrie was born. Now, at 42, Maybrick had several dark secrets that he did not tell the young American. Had she known, one can only hope Florie would have made better choices, she might have later recalled the Baltic voyage as a wonderful memory, not as a time to regret. Behind the gentlemanly facade lived a man with a double life. Florie thought she had fallen in love with a successful cotton merchant who lived in Liverpool but also spent much of each year in Norfolk, Virginia. 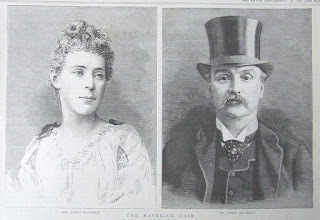 Unknown to Florie, Maybrick had an English mistress with whom he had several children. Also unknown to Florie, Maybrick had a bad drug habit. He was hooked on arsenic and strychnine. People with double lives are often very good at keeping personal secrets. In the summer of 1881, when Florence Elizabeth Chandler married Maybrick at St. James Church in London's Piccadilly, she knew her husband had contracted Malaria during one of his trips to Norfolk. (Malaria had spread in epidemic proportions during the Civil War.) While Maybrick had recovered from the disease itself, he had not recovered from the treatment. He would remain addicted to the ingredients of Fowler's Medicine (arsenic and strychnine ) for the rest of his life. A chemical element, arsenic was a component of other interesting products during the late 19th century. Women (including Florie Maybrick) sometimes used it as a cosmetics base and chemists used it in flypaper, among other things. Even Queen Elizabeth I used arsenic as part of the preparation that made her face appear white. It wasn't until Florie found "white powder" stashed in various places around her house that she knew her husband had a drug habit. But that was several years after her wedding. And it was well after Florence had two children: James Chandler (called "Bobo") born in 1882, and Gladys Evelyn, born in 1885. Long before 1887, Maybrick was a full-fledged "arsenic eater." Later, a chemist (Edwin Garnett Heaton) from whom Maybrick obtained his "medicine," said that Maybrick came into the shop on Exchange Street East as many as five times a day to get his "pick-me-up." But by 1887, the "pick-me-up" was producing disastrous effects on Maybrick's personality. He was short tempered and started to beat Florie. Ever the headstrong woman, Florie took a lover - Alfred Brierly - a friend of the Maybricks. It came as no surprise to family friends, but when Maybrick realised the truth he was outraged. 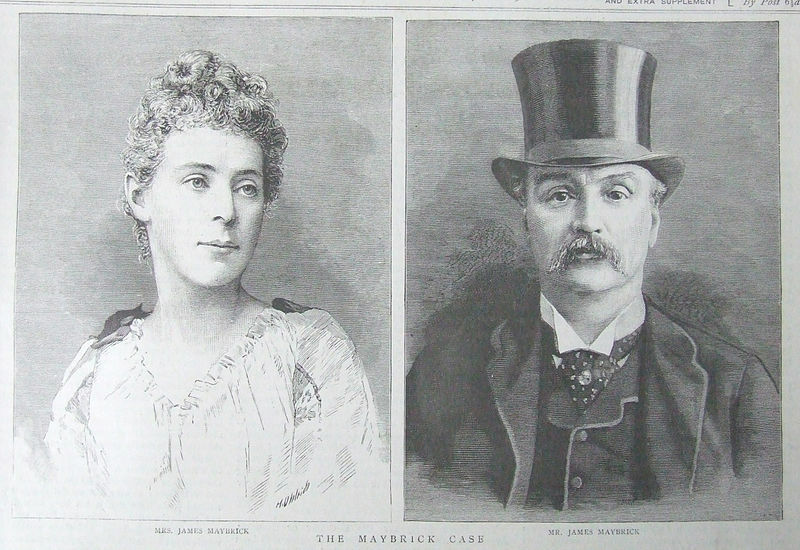 The fact that Maybrick had kept a mistress throughout his marriage was beside the point. From Maybrick's recently discovered diary (maybe genuine, maybe not) we learn that Maybrick decided to stop taking huge doses of arsenic during the spring of 1889. Medical knowledge available at the time stated such a step could produce fatal results for a long-standing "arsenic eater." Michael Maybrick took charge. By all accounts he saw to it that Maybrick changed his Will. Michael was now given the authority to handle his brother's estate. Florie was all but cut out. It never was completely clear - and still isn't to this day - whether Maybrick's last Will was a forgery. The certified copy of the Will is hard to read, but contemporary newspapers published transcriptions of it. Florie was essentially banned from her husband's sick room, although she was able to see Maybrick occasionally. She continued to see Alfred Brierly and, to her everlasting regret, Florie wrote a note to Brierly which she asked Maybrick's nurse, Alice Yapp, to post. When things go wrong, they often go really wrong, and such was the case with Florie's ill-conceived letter to Brierly. Little Gladys Maybrick, walking to the post office with the nurse, was holding the letter and dropped it into a mud puddle. Instead of returning the letter to Florie for a new envelope, Alice Yapp opened it. Instead of simply putting the letter - unread - into a new envelope, the nurse studied what was inside. Here is part of what she read. Florie's words to Brierly were never read by Brierly. But within hours her words were known to everyone at Battlecrease Mansion. What better way to fan the flames of rumor? Florie had set herself up for bad things in the event her husband died. On May 11, 1889 James Maybrick died. Within hours, Florie became a prisoner in her own home. Michael Maybrick had taken charge. Three days later, Florence was arrested for the murder of her husband. A coroner, on May 13th, had found death was "due to inflammation of the stomach and bowels set up by some irritant poison." Baroness von Roques hired a barrister who had been a terrific trial lawyer during his prime. 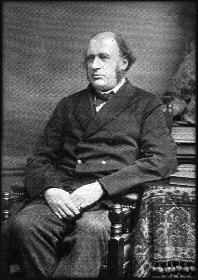 But in 1889, Sir Charles Russell was past his prime. He had suffered a string of losses and, just before representing Florie, he had fought a long, gruelling trial. A tired lawyer, past his prime, could only spell trouble for Florence Maybrick. 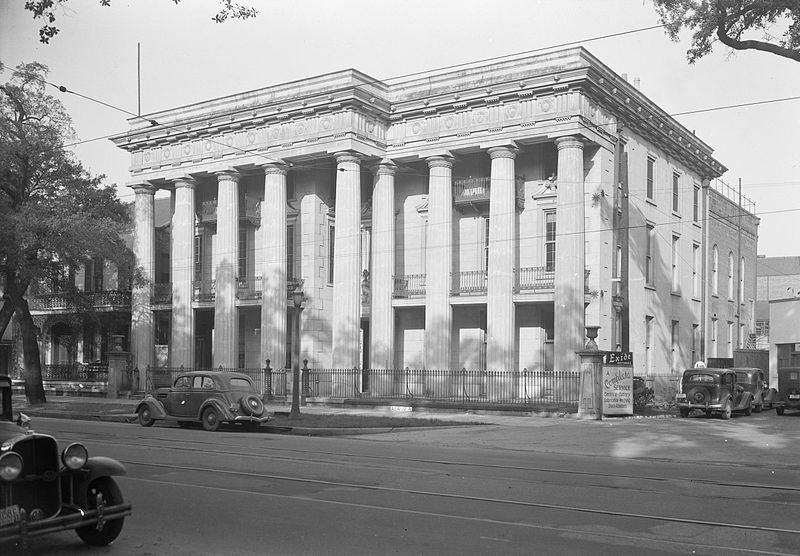 The Trial began with the Crown's Opening Statement presented by lead counsel John Addison. The case was finished in seven days. Even now, more than 100 years later, it is shocking to comprehend that Florie's jury was never told about the extent of Maybrick's addiction to arsenic and strychnine. Even so, they knew that he had taken "the powder" and his chemist told the court and jury about Maybrick's medicine. Almost worse than this omission, however, was a serious mistake Sir Charles made at the end of the proceedings. Instead of controlling his client - and the trial - he allowed Florence to make a statement to the court. Trying to explain that she used the flypaper to make a cosmetic concoction, Florence pleaded her innocence to the jury. But since this was the first time Florie made the statement during the trial proceedings, her efforts predictably backfired. Her lawyer should have known better. Trial judges in British courts are allowed to comment on the evidence. This is a procedure that ought to be - and usually is - handled with great care. 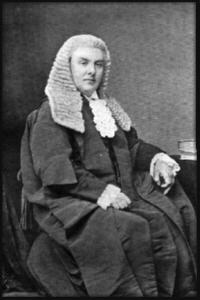 But Justice Stephen, who abhorred Florie's affair with Brierly - and bluntly said so - told the jury Florie's statement was a lie. The judge took two of the seven trial days to summarise the case against Florence. Many of his facts were completely wrong. His bias was clear. Before Sir Charles allowed Florence to make her statement, most trial observers thought the verdict would be "not guilty." After the statement, and the judge's comments, it took the jury 35 minutes to find Florence Maybrick guilty of capital murder. Now it was up to Florie's biased judge to pass sentence on her. 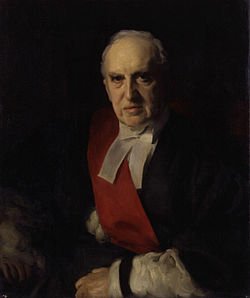 British judges followed a tradition before imposing a death sentence: They wore a black cap before speaking. As Justice Stephen was about to pass sentence, he put on his black cap. There was a gasp in the courtroom. Florence Maybrick was sentenced to hang until she was dead. Because Britain did not have a Court of Criminal Appeals in 1889, Florence was doomed. Criminal defendants who lost cases - even if the trial was a travesty, the judge was insane and counsel was incompetent - had no recourse. There was no place to appeal a blatantly unfair and wrong result. Only the queen could save Florie Maybrick. But Queen Victoria was not known as a compassionate monarch who regularly pardoned criminals. Not until the public staged a huge groundswell of support - with multiple petitions for clemency - did the Queen act. As reflected in "An Open Letter to the Queen," published in the September 1892 issue of The North American Review, even Caroline Scott Harrison (wife of then - President Benjamin Harrison) begged Victoria to show mercy. Noted in the various petitions, sent to Her Majesty, was the lack of judicial recourse because of a non-existent appellate process. By 1907, the criminal justice system was changed when Britain's Court of Criminal Appeal was established. Had Florence Maybrick been tried in 1907 - even if all else remained the same - she would likely have been a free woman as soon as her case was reviewed by an appellate court. But Florence did not have that luxury, and she served her entire 15-year sentence. When Florence was set free in 1904, she spent six months in a convent in Truro, Cornwall. The Truro Cathedral currently contains a painting that depicts the beauty of this part of England, which is near the sea. But Florie did not stay in Cornwall. She wanted to return to her own country. She and her mother, Baroness von Roques, traveled to America together. Everyone clamored to hear Florie's story. She wrote a book about her ordeal, My Lost Fifteen Years, and became a fixture on the American lecture circuit. After two years of constantly reliving her story, though, Florie gave up the security of a steady income. She had had enough.